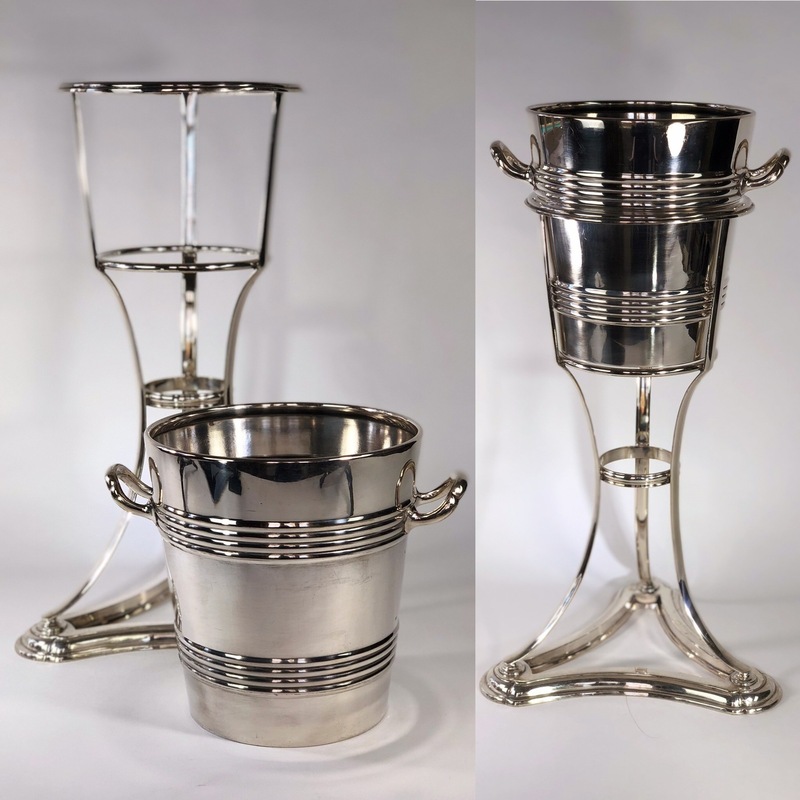 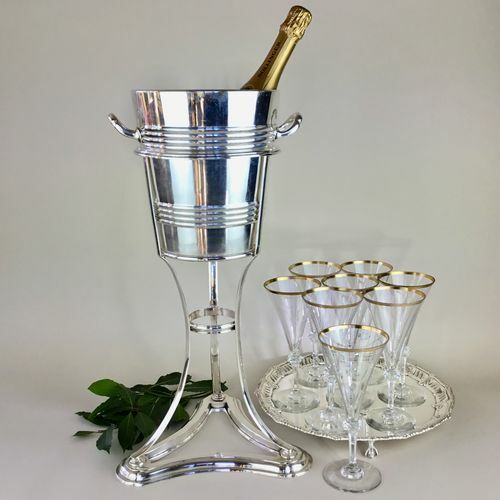 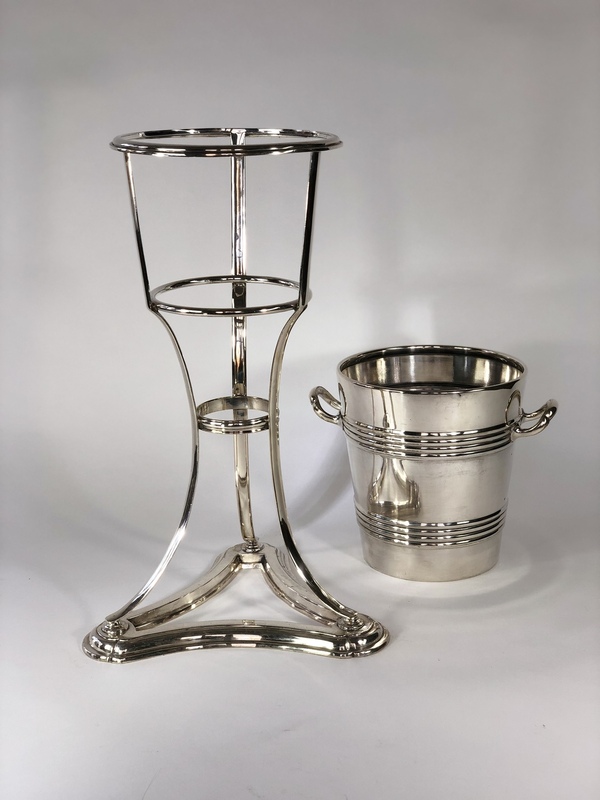 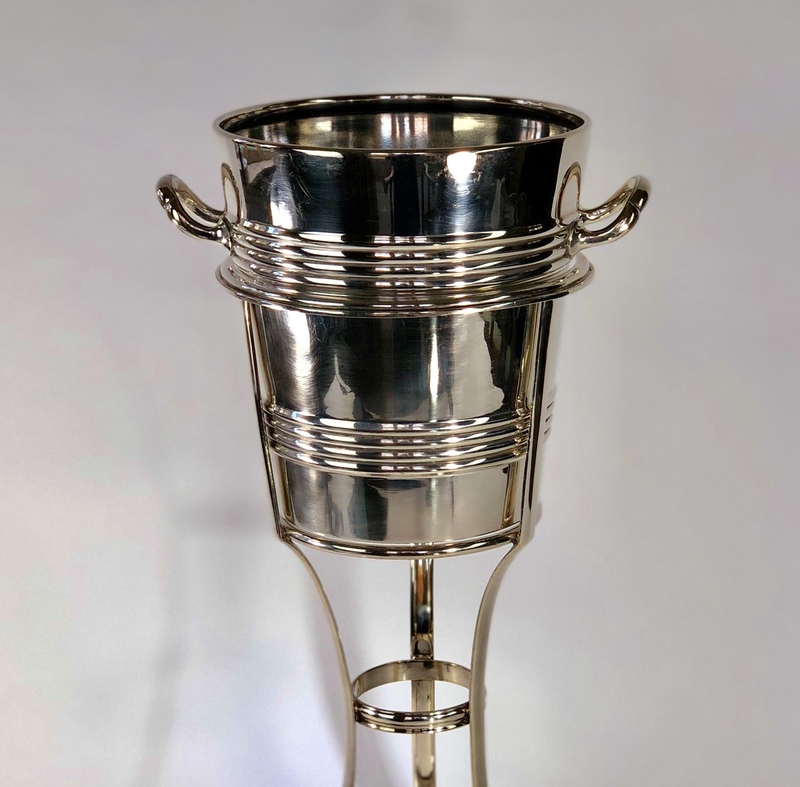 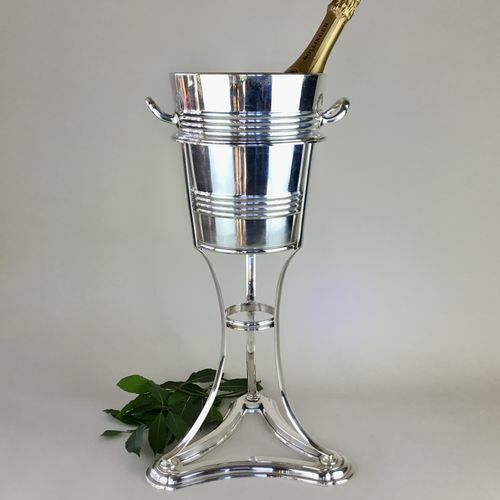 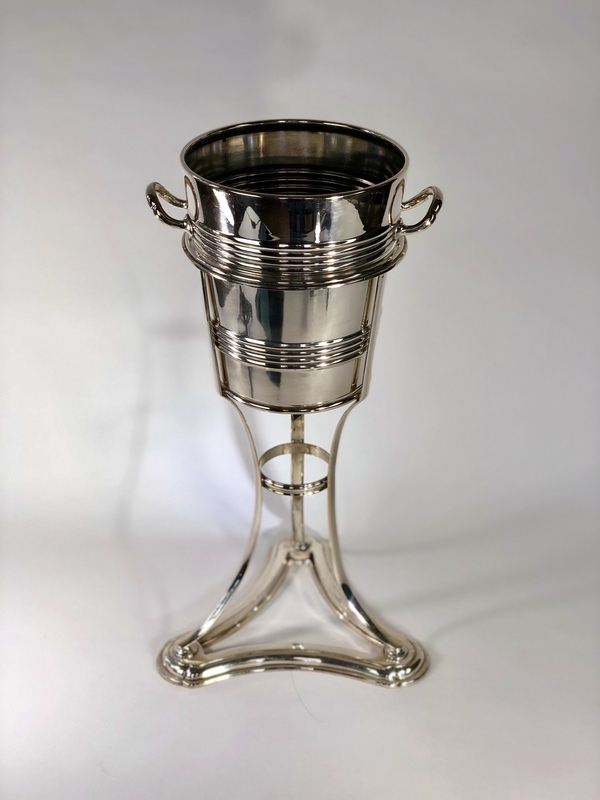 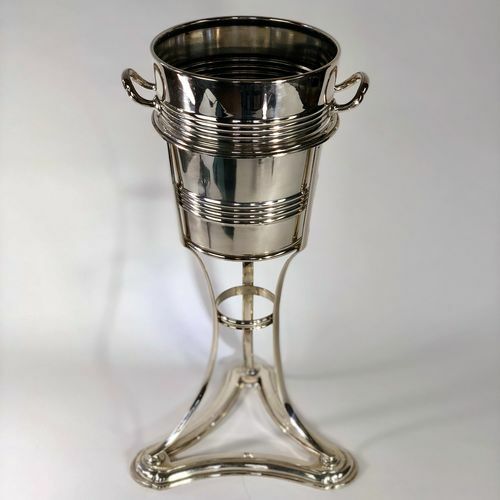 A rare and particularly fine Art Deco old Sheffield silver plated champagne bucket and stand, early 20th Century by Walker and Hall. 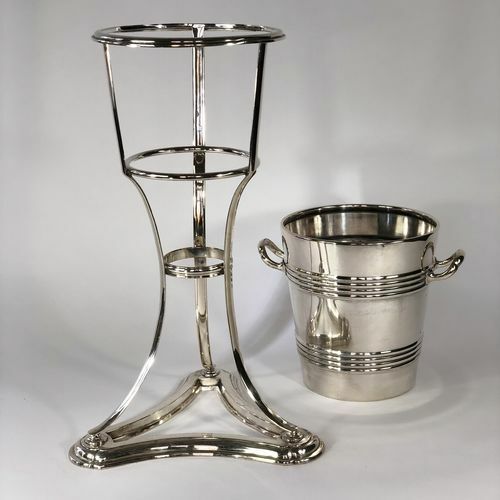 This superb piece ideally stands on the floor for convenient height and use. Perfect for use in the garden!